This picture below shows a Tractor Trailer rolled over on its side on the NJ Turnpike. 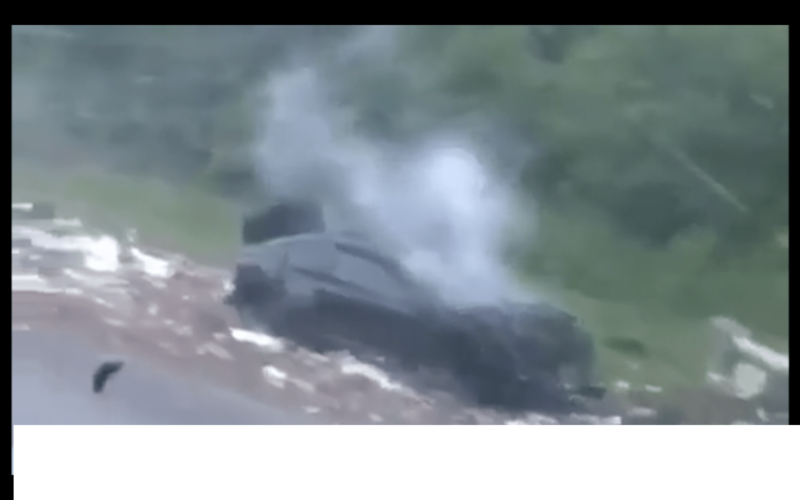 The Major wreck happened in the morning hours 6-13-2018. 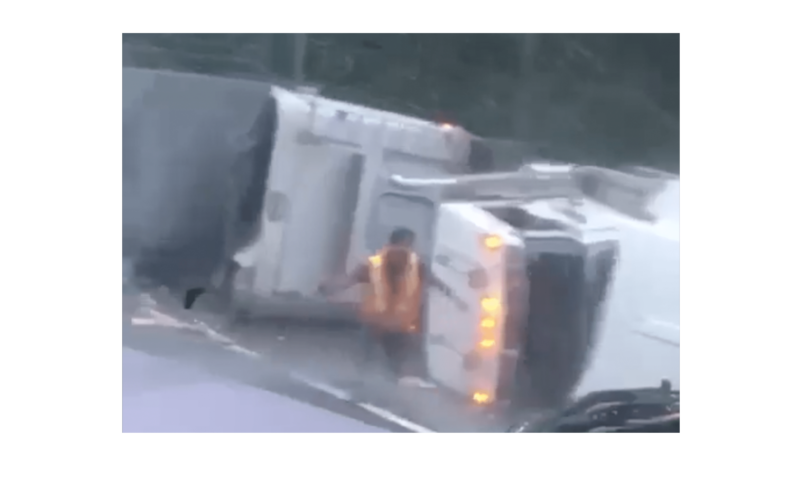 The video sent to TalkCDL by viewer Danny Henriquez. The image also shows a man jumping from the burning semi truck to the ground. No further information was given on this accident.